This concert was only released on LD in Japan. 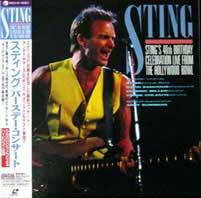 It's the birthday concert of Sting at the Hollywood Bowl, in Los Angeles on 2nd October 1991. 6- Why should I cry for you?